The eCommerce business model is being adopted by more enterprises every day. It has opened the business world to more possibilities. And it is essential to have your business enabled for online transactions. There are several options and criteria to be mindful of when choosing such a solution. Now, this may be a difficult task. 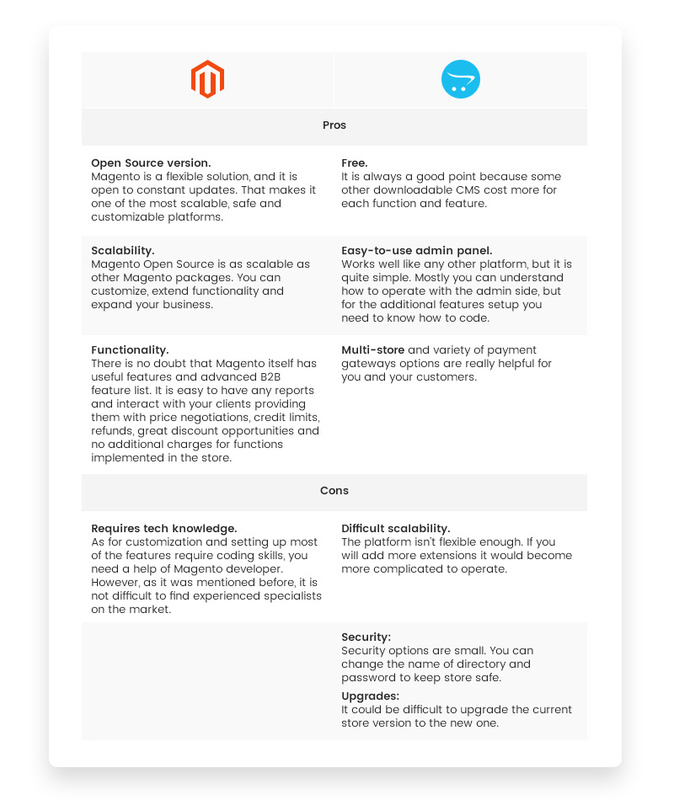 Let’s start eCommerce CMS comparison of two of the most popular open-source eCommerce solutions available: Opencart vs Magento®. Magento 2 allows each merchant to customize their clients’ entire shopping experience. It provides an estimated 50 or so payment gateways. As robust as it already is, Magento 2 functionalities can stretch even further. Magento Marketplace and other marketplaces have unlimited plugins and integrations available. This platform can handle promotions and discount features with no problem. Magento 2’s essential functionalities make it quite cost-effective to build amazing online stores. OpenCart is a lighter eCommerce platform. It is well suited for companies who are still assessing their eCommerce needs. It is sturdy and intuitive enough to perform well in general online transactions. Magento 2 is among the most robust eCommerce technologies available today. It is powerful enough to offer comprehensive solutions to enterprises of any size. 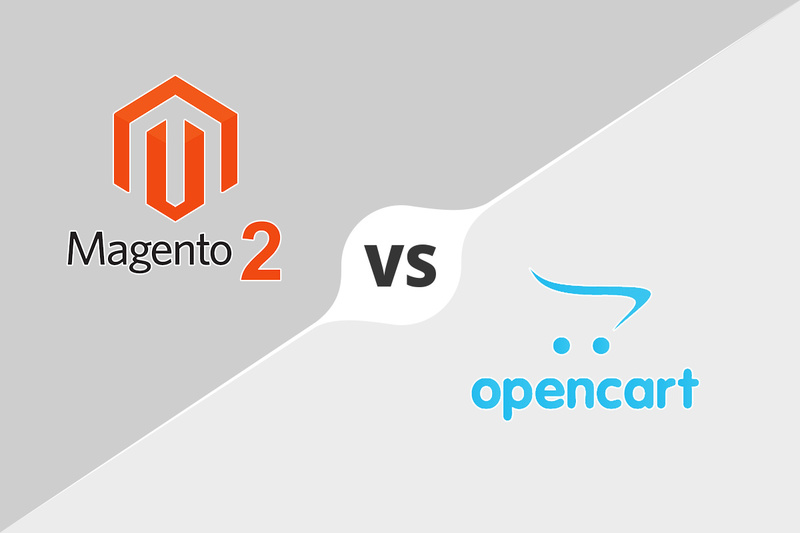 A Magento 2 and OpenCart comparison can start with their similarities. Both platforms support several languages and currencies, and each comes with a myriad of plugins, extensions, and third-party services. They also both enjoy global community support. The main difference between the lies in its usage capacity. In OpenCart admin panel, you can check your store look, order statistics, notifications about actions at your store and other things related to the store sections and editing all the product, order, customers information. The same with Magento 2, you can add and edit your store look and feel through the admin panel. In Magento 2, you will see your sales level, customers purchases, search terms, average order amount and other statistics related to your store. The same with OpenCart admin page, you will see the most up to date information on your site, total orders, customers, sales, analytics and much more. It is included in Magento 2 and OpenCart. This additional feature for those customers who subscribed to a product/service to make recurring payments after. It submits the information about payment frequency that was initiated by the payment system. This section in OpenCart is included in the Sales section. To use it in Magento 2, you need to add it via Catalog > Manage Products than enable it. It will give you an opportunity to connect with Amazon, eBay, and Etsy. In both Magento 2 and OpenCart, this feature is only available with additional extensions. Also, you can set the price rules by adding the discount as an additional function to the price or special price calculation. However, this is a customization feature that could be implemented with code. As well as price rules you can use zero subtotal feature that allow you to add vouchers, certificates and other special offers included in Magento 2 store. OpenCart has integrations with Australia Post, Citylink, FedEx, Parcelforce, Royal Mail, UPS and USPS by default. However, you possibly couldn’t print labels for delivery or other functions should be adjusted with the delivery firm’s rules. It could be additional charges for some additional functionality. Magento 2 has UPS, USPS, FedEx, and DHL included. Besides you can place a flat rate, free shipping, and table rates out-of-the-box. Included in both CMS and you can use all SEO power to optimize your store. You can use Meta Titles, Meta Descriptions, Meta Keywords, Alt Tags, SEO URLs, canonical tags and sitemaps in your products and categories. If we are talking about design and ability to showcase your brand and products or services, you want to use the most flexible and customizable solution. There should be an ability to use ready themes and customize some stand-alone features easily. OpenCart is relatively simple, and you can modify some parts by copying the default appearance. For sure, you need some knowledge to do it; otherwise, the enhancements won’t work correctly. Magento is more complicated than OpenCart in means of design implementations. However, you can add lots of customized features or change ready theme by your preferences. OpenCart has a theme editor that allows you to make changes in the default layout files. In Magento 2 you can take Luma default theme and change basics, but you also can use your purchased theme, or you can customize some standard theme. The security in online business is not in the last place. People, who pay online and companies who run their stores want to protect their data and money. OpenCart has some essential features in its security. Thus, it suggests general advice for keeping the store safe. It is changing the admin directory name and password complexity. However, it should be an improvement soon. With Magento 2 you will stay safe and secure. It’s a new Signifyd fraud protection tool help to solve problems cheaper and quicker. Even queues of manual transactions can be processed with AI tools. As well as new enhancements, it provides comprehensive password management, prevents to close cross-site scripting and local file inclusion. The new CAPTCHA feature will prevent automated software from attempting fake logins. 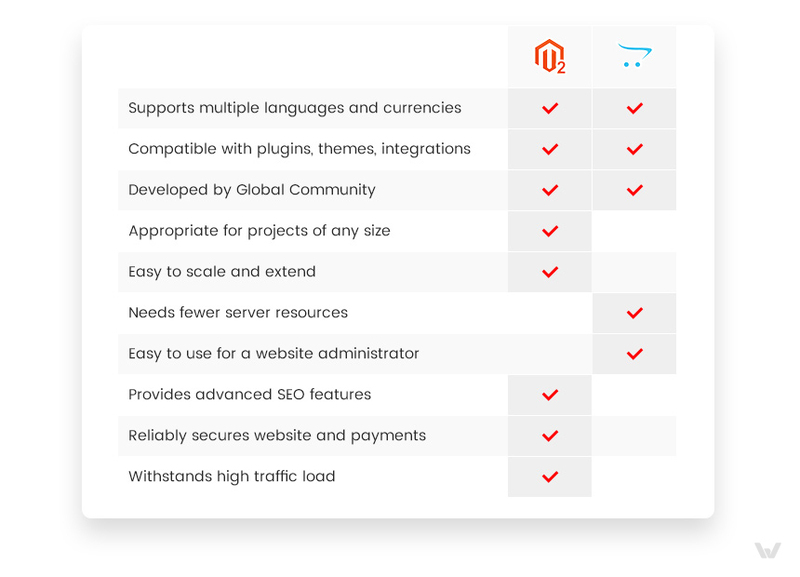 Magento 2 vs PrestaShop: Which is Better? 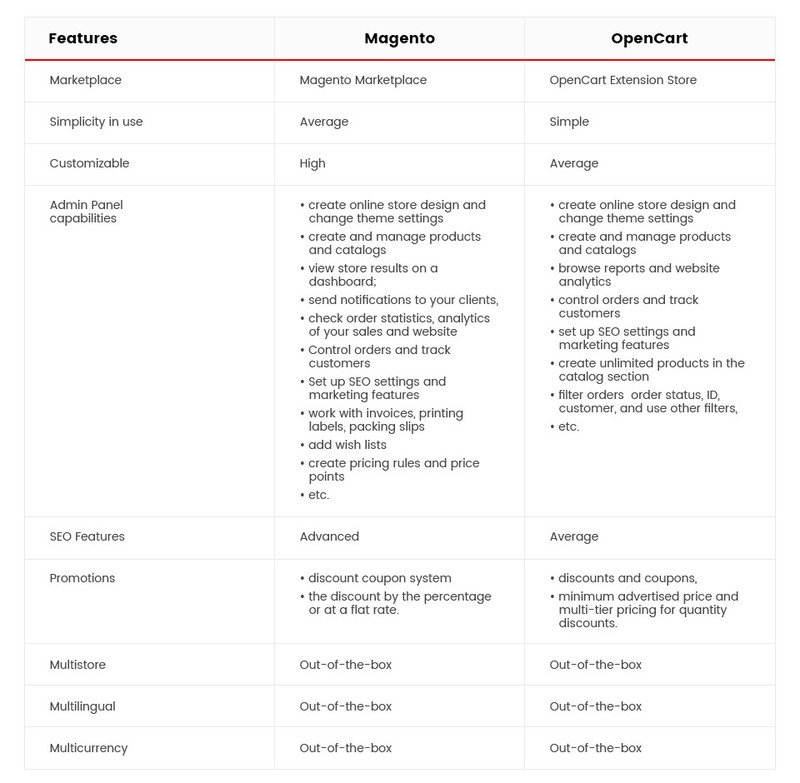 OpenCart has fewer technical requirements for servers than Magento 2. Magento 2 does have a more extensive requirements list. That were essential features of Magento 2 and OpenCart. Some extended functionality could be done by adding modules or involving developers to implement customized solutions. Also features depends on package type. As well as Open Source features it has additional B2B features for Magento 2 Commerce as customer segmentation, persistent shopping, automated email reminder, full page caching, optimized indexing and other useful features for B2B merchants. Regarding Magento, you can always count on forums and community of developers that share their knowledge and show how to solve different issues that may occur. Feel free to search through the trusted Stack Overflow and Magento Stack Exchange. Also, you can refer to the Magento Help Center and look through the How to, FAQ and Troubleshooting sections. 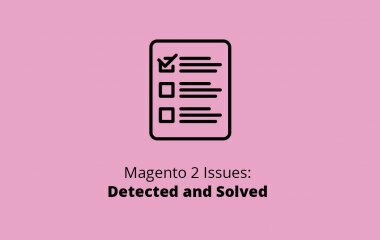 However, Magento doesn’t have the support as a service, and you may refer to your in-house or outsourcing team to fix the problems. OpenCart provides the support for the stores and comes with two pricing packages – from $99 for one time fix, and $99 per/month for the dedicated technical team support. Also, you can find answers at the Opencart Help Center. OpenCart provides you with a free demo of the store. So you can check both Frontend and Backend via the link. As for the installation process, OpenCart is relatively simple. On the other hand, to implement OpenCart security updates, you need to update files on the serves and to do some additional work to get a full update. Regarding Magento, you can also request the Demo from the official website. Also, we can provide you with our Demo overview. Besides, you can find a lot of free demos to explore on the Internet. However, Magento seems more complicated to install. It is recommended to get a developer help to do so. On the other hand, Magento advantage is that you get notifications about the new releases, and you can choose whether to update the entire system or only the security part. 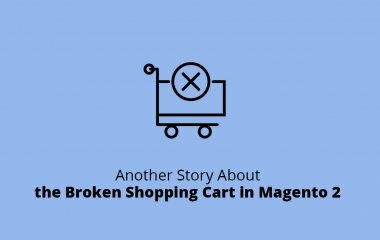 The updates for Magento are constant; however, OpenCart makes rare releases. After we have observed the features and overall information about both platforms, let’s conclude them with the pros and cons of each solution. Magento 2 allows each merchant to customize their clients' entire shopping experience. 556 K live websites are using the Magento. A further 106 K sites are using Magento 2. OpenCart currently powers 456 K live websites. 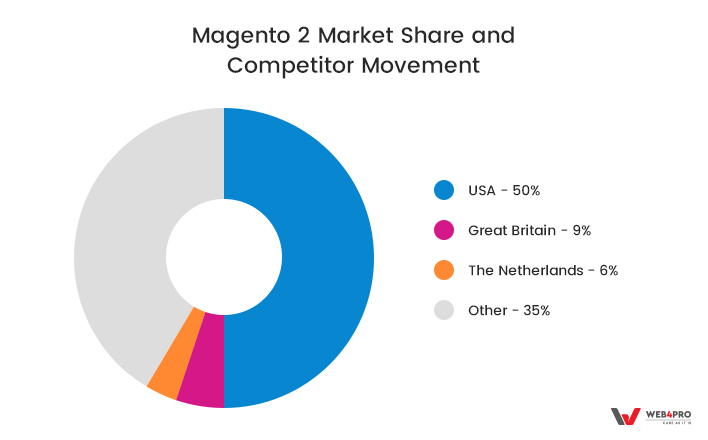 Almost 50% of Magento 2’s market share lies in the United States, with Great Britain in second place with around 9%. For OpenCart, 42% of its market share also lies in the United States, with Russia holding around 16%. 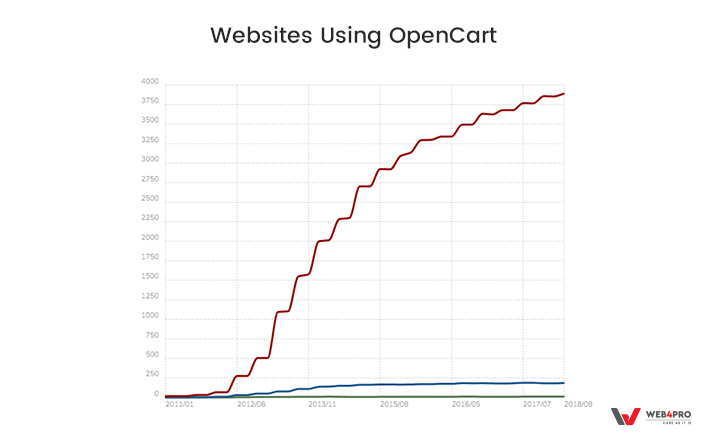 OpenCart does power a much more significant number of websites. But one must remember that the original Magento is still very much a market leader. 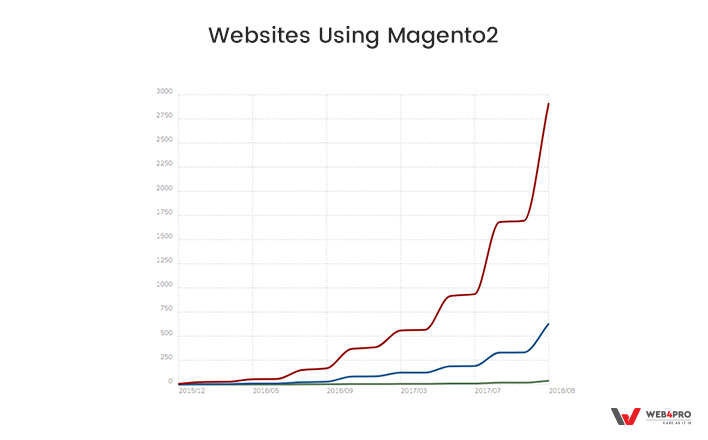 Also, Magento 2 itself still powers the larger (and more profitable) websites. This fact speaks volumes to the operational prowess of Magento 2. Its popularity has seen exponential growth, as indicated below. Is Magento Better Than Opencart? Magento 2 has been the answer for several famous brands around. These include fashion giant Solar, luxury food, and wine company Virginia Hayward. Other clients include Australian Pharmaceutical Industries Inc., and NBA team Atlanta Hawks. OpenCart clients include pop culture merchandise store Dicebox and the British Red Cross. They also power tech sales website Dropshipper and food store Fresh Express. Magento 2 can support websites of any size. 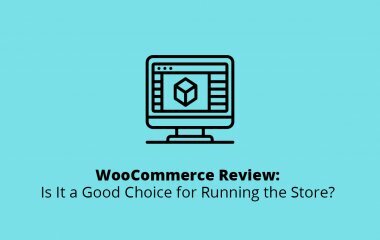 Stores that expect high traffic and more transactions do gravitate towards Magento 2 because it can scale up or down to help all business circumstances. Even as your business grows, it can handle all your requirements. OpenCart tends to suit small to medium size websites that don’t expect too much traffic. If you’re starting and want to “test the waters” first, then it would be a good option. But it must be noted that someday your business may become too big for OpenCart to handle. The choice between these two platforms is clear. Magento 2 can adapt to any eCommerce environment. No business aims to stay on a small scale for long. When growth happens, you want an eCommerce solution that will grow too. Switching to a more competent solution can a traumatic experience. 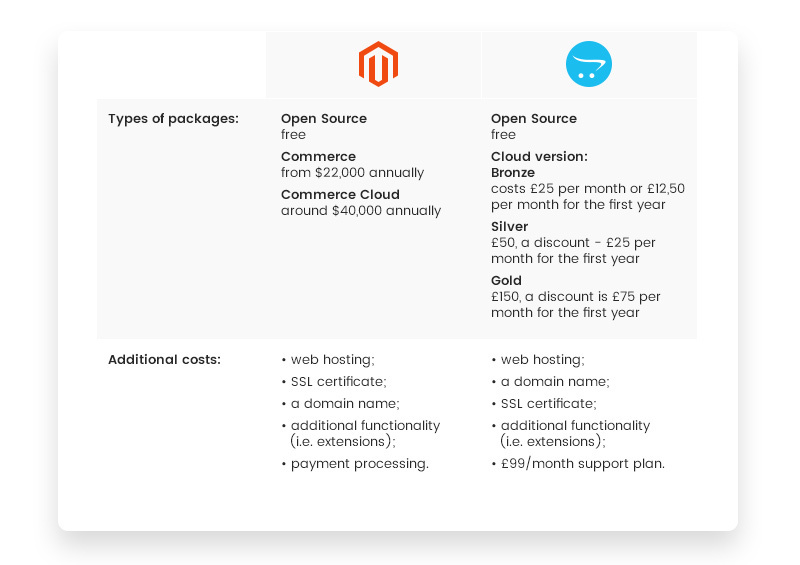 By choosing Magento 2, you won’t have that problem. Now you can take care of more important things, knowing full well that Magento 2 has you covered. At WEB4PRO, you can expect the best possible solution for your business. If you are ready to consider changes to your store look or move forward to Magento 2 Migration, we are ready to discuss possible ways to do it!